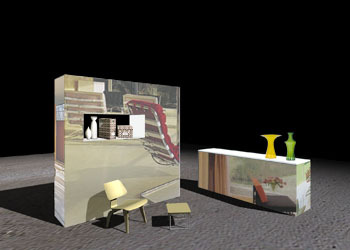 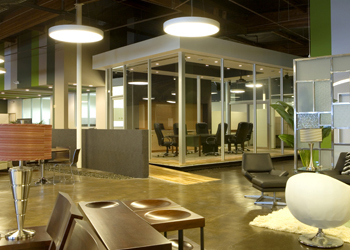 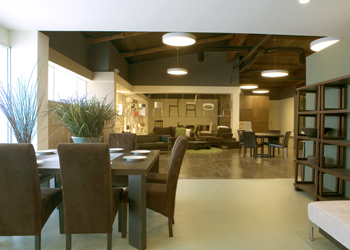 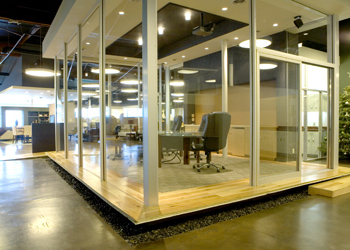 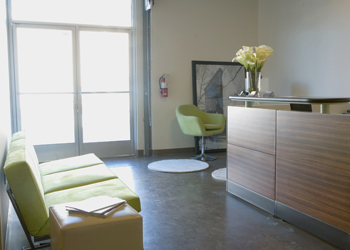 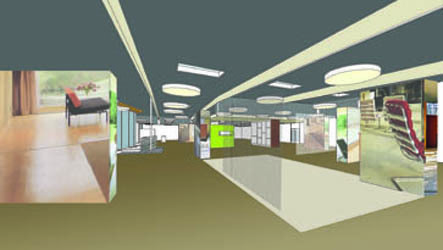 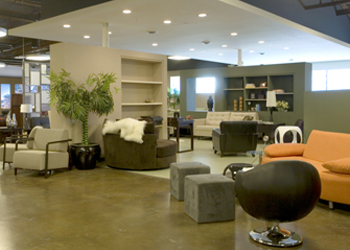 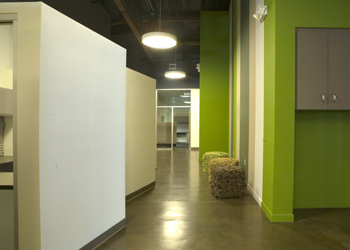 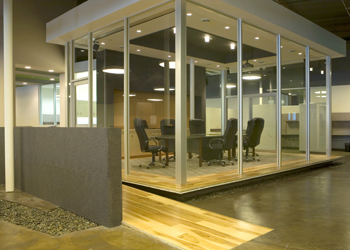 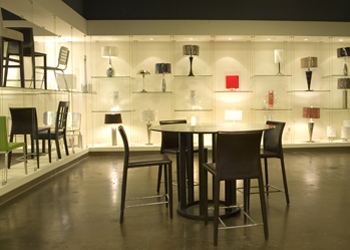 Office space, photo studio and retail showroom for a modern furniture company in Van Nuys, CA. 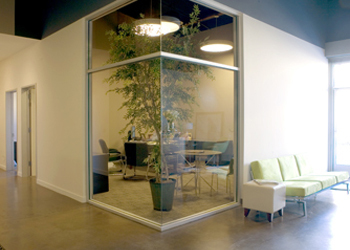 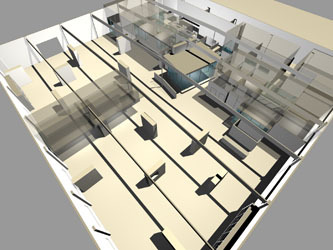 The offices are separated from the showroom by a block of enclosed spaces broken in the middle by a raised conference pavillion. 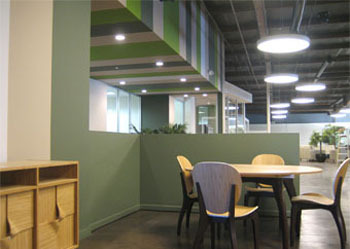 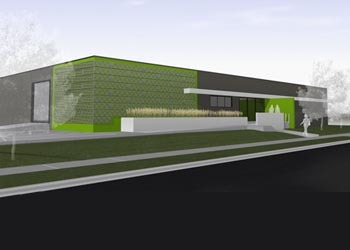 The dividing block is painted in vertical stripes of green to suggest an idealized natural setting for the modern home. 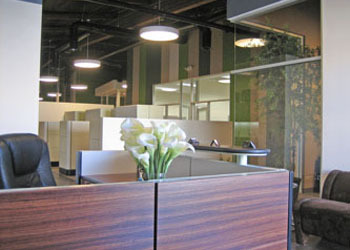 Project won a 1997 AIA San Fernando Valley design award.